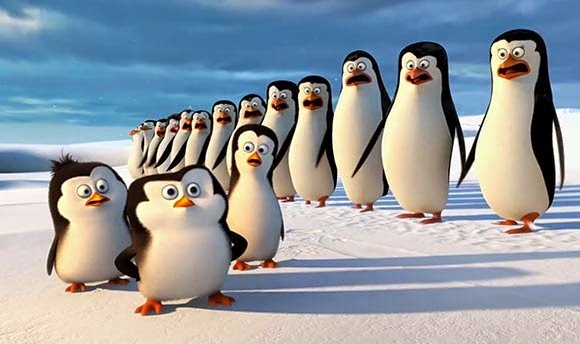 Home / ANIMATED FILMS / MOVIE TRAILERS AND INFO / TALK OF THE TOWN / GETTING TO KNOW THE "PENGUINS OF MADAGASCAR"
GETTING TO KNOW THE "PENGUINS OF MADAGASCAR"
Skipper, Rico, Kowalski and Private, the world’s most elite covert group proves that super spies aren’t born, but they’re hatched. These elitists of the elite are joining forces with a chic undercover organization, The North Wind. Led by handsome and husky Agent Classified (voiced by Benedict Cumberbatch) , together, they must stop the villainous Dr. Octavius Brine (John Malkovich), from destroying the world as we know it. A DreamWorks Animation feature presentation, “Penguins of Madagascar” (3D) will open soon this November 26 nationwide from 20th Century Fox to be distributed by Warner Bros.